Traditional skills, contemporary looks. Both are reflected in every piece in this collection, which celebrates the natural beauty of veneer in style. 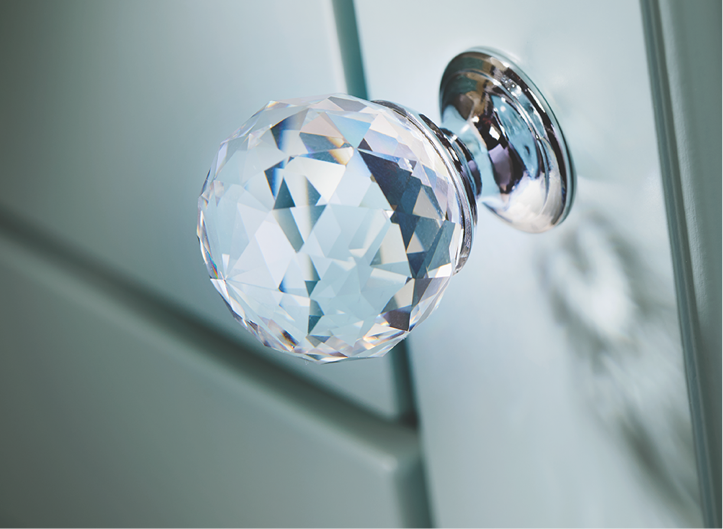 A wide choice of finishes is available, from the brilliantly vibrant to those that allow the simple elegance of the grain to shine through. Real wood veneer or painted panels with colour-matched MDF carcass. Please allow for shade and pattern variations with natural products. Classic cream drawers are stylishly arranged to offer twin washbasin units, with additional central storage. The wall hung base drawer units provide ample storage, with smaller items such as cosmetics and toiletries being neatly concealed behind the wall mirror unit doors. 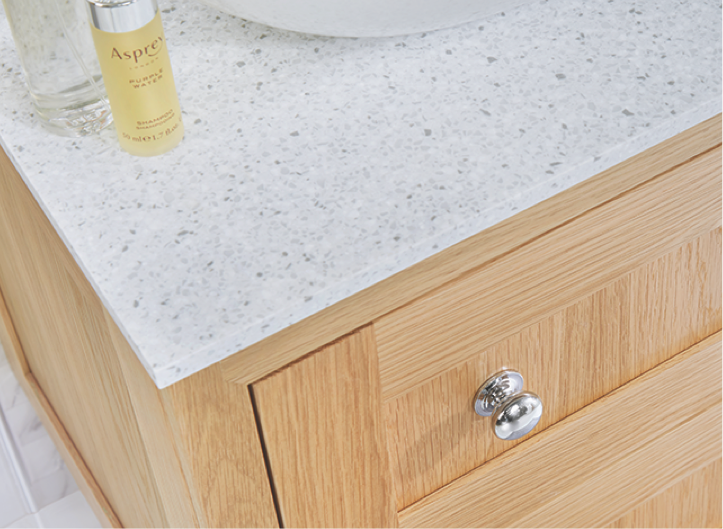 For a totally seamless look, consider a Corian worktop with fully integrated matching basin. The woodgrain seamlessly continues from the top fascia to any doors or fascias below. This book matched feature is further enhanced by the striking chrome curved bar handle to offer contemporary style in any bathroom. At Vanity Hall we consider all the needs of a busy family bathroom. From tall units and drawers to mirrors and mirror cabinets, everything has a home. A carefully planned bathroom, with cleverly considered storage will ensure that all toiletries, make-up, towels and much, much more is neatly hidden away. Our richest of finishes, Dark Oak offers an almost decadent tone to any bathroom or en-suite. The wall hung, twin drawer basin unit is symmetrically balanced by the wall cabinets and centrally positioned framed mirror, with the added benefit of downlighting fitted in the flyover shelf.